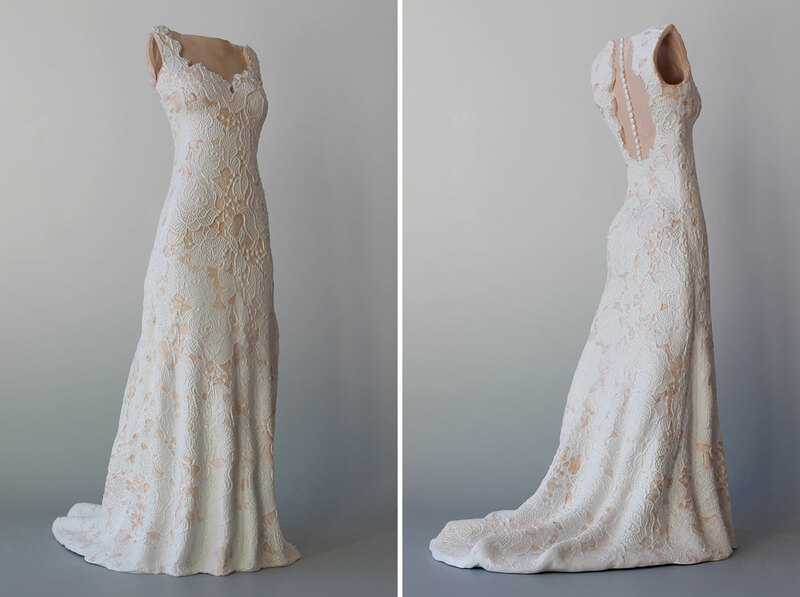 as soon as we met renée from cloth2clay we knew we had to share her beautiful custom bridal and couture dress sculptures with all of you! what an incredible gift to give to a bride or a mother of the bride or any special lady in your life! a wedding dress is clearly one of the memorable garments worn in a woman’s lifetime. each sculpture captures an irreplaceable moment in time and reflects a capstone life experience. 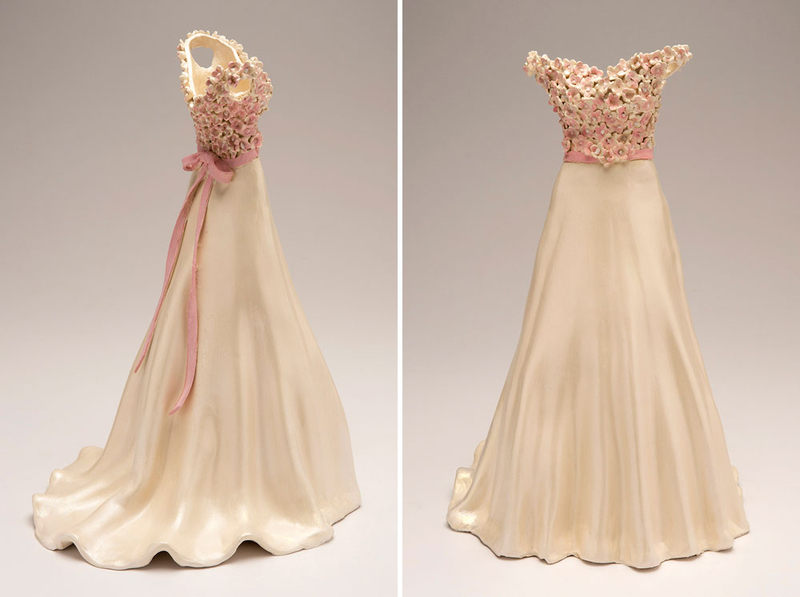 renée creates a ceramic replica of the bridal gown as an everlasting memento that serves as a unique bridal or anniversary gift. 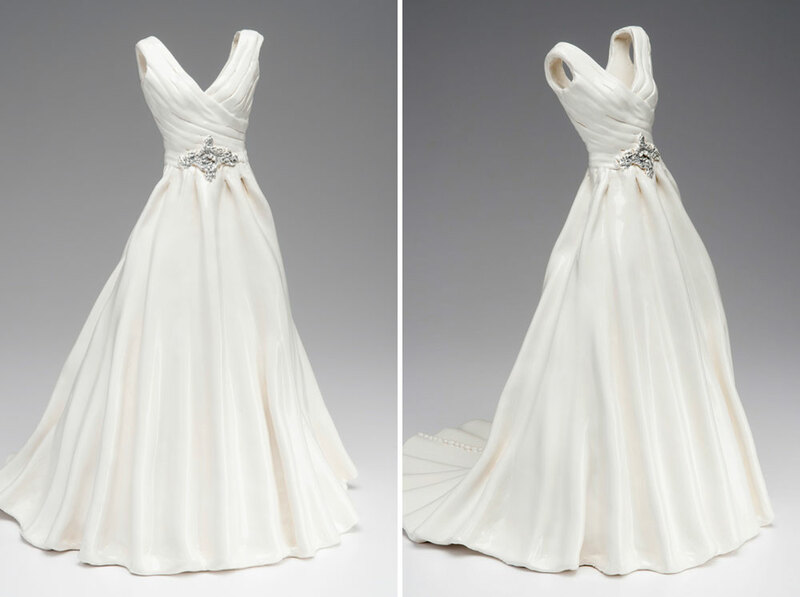 the sculptures are created from photographs of the wedding or of bridal fittings. they are approximately 17 inches tall and are made to order over a period of approximately 6 weeks. they are made of white stoneware or porcelain.